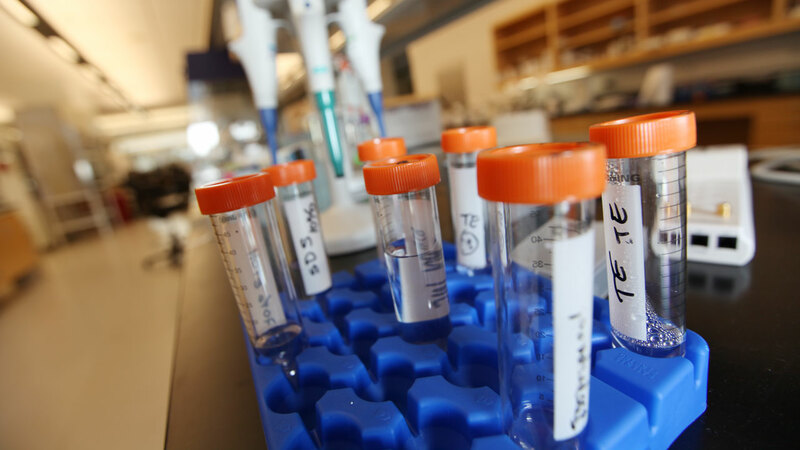 Isotopic analysis is used in a variety of fields across the sciences, such as Geology, Biology, Organic Chemistry, and Ecology. Archaeology, which is situated between the hard natural sciences and social sciences, has adapted the techniques developed in these fields to answer both archaeological and anthropological questions that span the globe over both time and space. The questions that are addressed within the field of Archaeology most commonly relate to the study of diet and mobility in past populations. 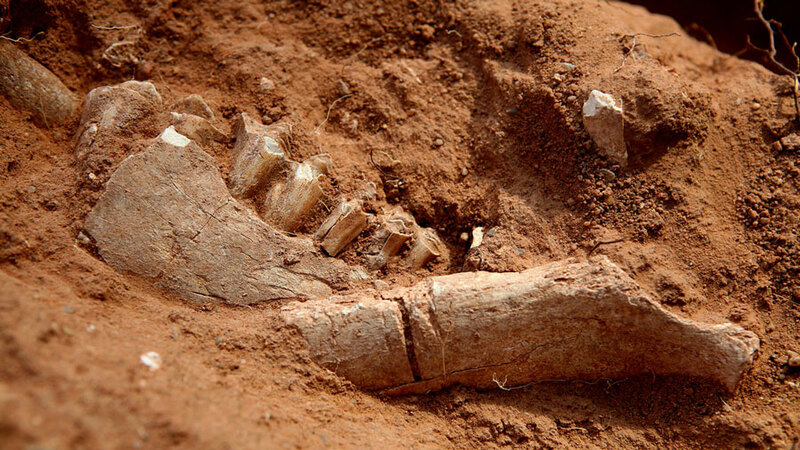 While most people are familiar with isotopic analysis related to the study of radiocarbon dating or C-14, fewer are familiar with the analysis of other isotopes that are present in biological material such as human or animal bone. The isotopes most widely studied to address these questions are Carbon-13 (13C), Nitrogen-15 (15N), Oxygen-18 (18O) and Strontium (87Sr/86Sr). The stable isotopes of 13C, 15N and 18O differ from the analysis of 14C in that they do not steadily decay over time, thus there is no "half-life." Rather, they remain constant over time, hence the term stable isotopes. The exploration of isotopic identifiers of mobility, environment, and subsistence in the past also has contemporary relevance in that it can aid in informing policies relating to heritage protection, resource management and, sustainability and perhaps most significantly, help us to learn more about the remarkable ability of our own species to adapt and survive in any number of environmental and cultural circumstances. In order to investigate stable isotopes from human and animal bones, a very small sample of bone is needed for the analysis. Due to advances in accelerated mass spectrometry (AMS) a small sample which can range from 200 milligrams to 1gram of bone can be used. When archaeological bone material is poorly preserved there may not be enough surviving biological material left for the analysis to be reliable. However, in cases where the bones are well preserved, the isotopic signatures are considered to be representative of the individual specimen (either human or animal) that is being studied. The small bone sample is then treated through a set of chemical procedures, depending on the particular analysis in question. For example, for analysis of carbon and nitrogen stable isotopes, the bone is washed in hydrochloric acid (HCl) for an appropriate period of time until the bone sample is ready for the next chemistry steps. These processes are carried out to extract the "pure" bone collagen from additional components that make up bone, such as lipids and proteins. Once the collagen is extracted this is prepared and weighed for analysis in the mass spectrometer. The mass spectrometer works by measuring the masses and relative concentrations of atoms and molecules. These are compared using standard reference materials that are set by the International Atomic Energy Agency in Vienna. The use of global and national (NIST) standards as reference material means that isotopic results can be compared across archaeological sites. However, it is important to remember that the isotopic values of a particular time and place must also be determined in order to understand the various local processes (environmental and cultural) that are constantly at work. Many scientific fields utilize isotopic analysis to study past climate and environment. Archaeology is no exception. It is important to determine the environmental setting of a particular time and place in order to gain a better understanding of the factors that could have influenced the way a community developed. Long and short term changes in climate can have a dramatic impact on the ways in which people may procure or produce their food. In addition, these types of changes can influence where and/or when people may move throughout the landscape. For instance, a shift in climate from a hotter or more arid environment to one that is wetter and milder, may have allowed people to move into a new area to make use of land resources that were previously unsuitable for farming or herding animals. Isotopic indicators of environment are most often investigated through the study of oxygen isotopes. Different oxygen isotope values are representative of hotter and drier climates, versus those that were colder and wetter. In addition, nitrogen isotopes can be reflective of climate, in that plants, animals, and humans that inhabit more arid environments can display enriched nitrogen-15 values when compared to those from more mild environments. 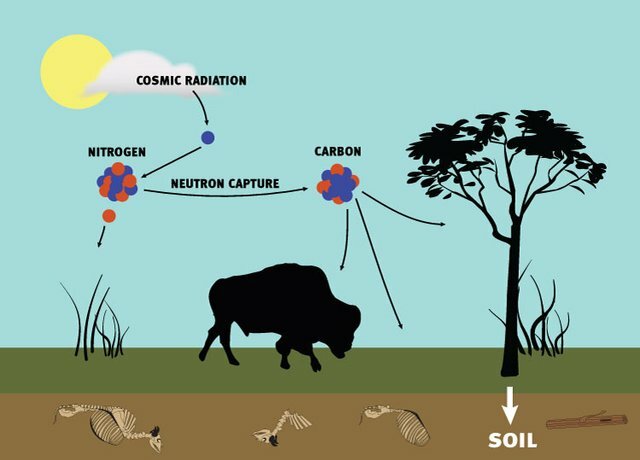 This was found in the case of the Badger Hole site, where analysis of several of the bison bones displayed significantly enriched nitrogen-15 values, indicating the inhabitation of an extremely arid environment. The study of the diet of prehistoric peoples is an essential part of understanding how past communities were able to survive and adapt within particular environmental and social settings. The investigation of past diet or paleodiet provides clues as to how our ancestors made use of natural resources and even how they modified their own environments in order to produce food. For example, one of the most widely studied aspects of human diet in North America has been the investigation of the introduction and development of maize agriculture (farming) as a major form of subsistence in the New World. Carbon and nitrogen stable isotopes are those most widely used for dietary reconstructions. 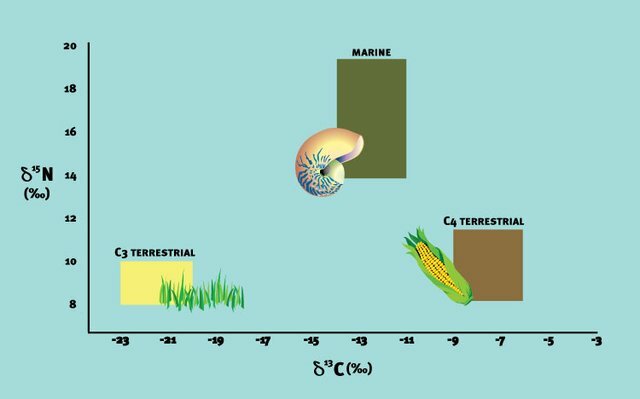 These isotopes have been used most commonly to study diets of marine versus terrestrial (land based) animals and the intake of particular types of plant resources (for example maize and millet). Isotopes can be used to assess diet because a direct relationship exists between the type of food being consumed and the corresponding isotopic "signature" found in the bone collagen of both humans and animals. 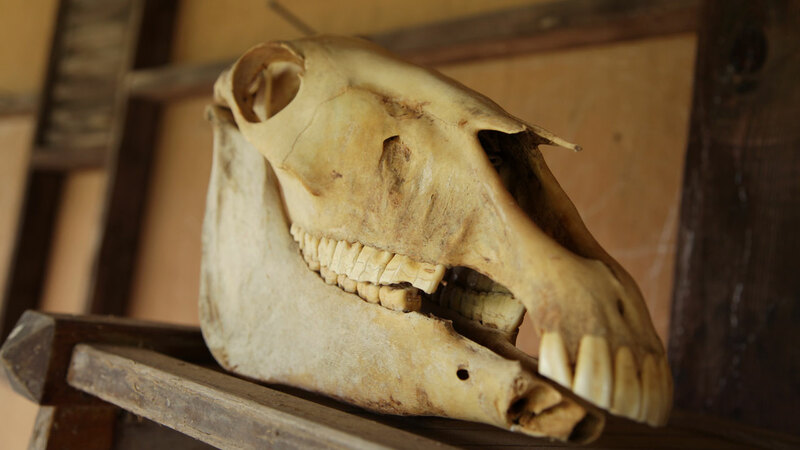 For instance, when an animal such as a cow or sheep eats a certain type of grass or plant they will exhibit an isotopic value in their bones or teeth that is representative of that particular type of grass or plant. In addition, as humans consume animal protein, from resources such as terrestrial animals (e.g., cows, sheep, or goats) and aquatic resources (e.g., fish and shellfish) they will exhibit isotopic values that situate them within a particular "trophic level." A trophic level is most simply explained as where an organism (human or animal in these cases) is situated within a particular food chain. Variation and adaptation in subsistence (or diet) can be stimulated by developments in socio-political and economic circumstances, as well as by climate and ecological transitions and even by individual choice. Changes in diet within a particular community can occur at both large and small scales, as well as rapidly or gradually over time. 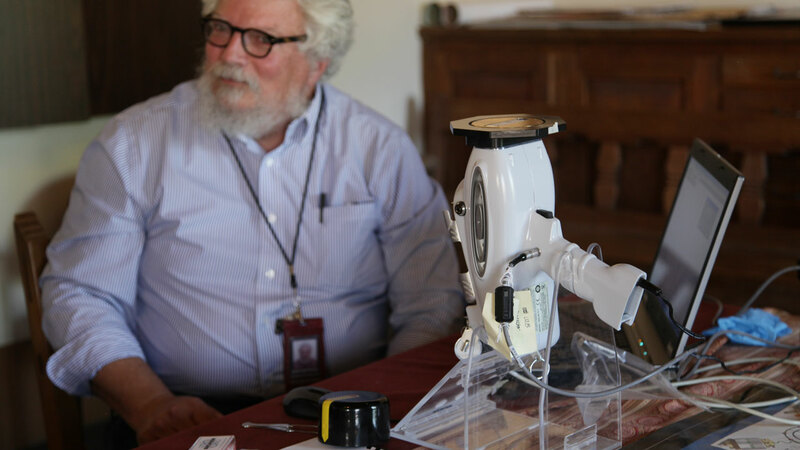 Unlike other avenues for paleodietary reconstruction, which are generally based on contextual archaeological, ethnographic and historical evidence, stable isotope analysis provides a way to directly investigate dietary composition through the analysis of the bones themselves. The study of mobility and migration in the past can be approached through a number of different archaeological methods, such as provenance studies of glass, ceramics and metal artefacts and in some cases even through the study of ancient DNA (aDNA). Humans move for many different purposes. They may move in search of more optimal resources, for marriage, warfare, trade, and a host of other reasons. Strontium (87Sr/86Sr) and oxygen (18O) isotopes are most commonly used to reconstruct past movements of both people and animals within a particular time and place. When investigating mobility, these isotopes are used to determine if a person or animal is "local" to a particular area by comparing the isotopic values from bone and dental enamel of the specimen with local isotopic values that must be established for that specific geographic location. The "local" values of a specific place are determined by studying the underlying geology of a particular place, in the case of strontium, and through the analysis of local groundwater resources and precipitation (rainfall and snow), in the case of oxygen. Under this assumption it is taken that if an individual displays isotopic values that are the same or within the range for the region in which they were discovered (or buried) then it may be possible to suggest that they were from the area originally. In humans and animals, the isotope ratios of bone and dental enamel reflect the geological substrates on which their dietary intake (plant, animal, and water) were sourced. 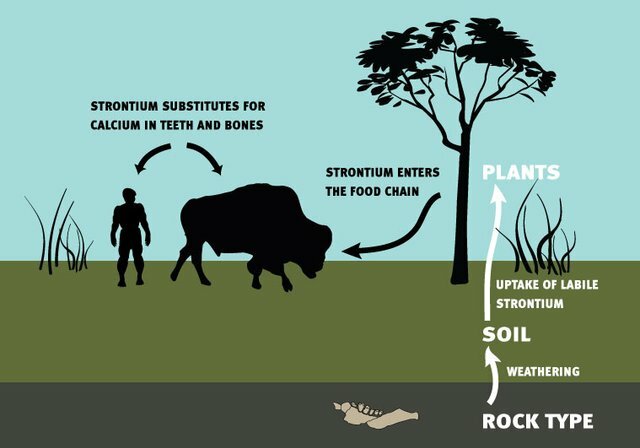 Strontium isotope values from human bone and teeth can be used to determine the possible place of childhood residency for an individual when the range of local values has been comprehensively established for a particular area. For example, some studies have investigated the dental enamel of individuals, which forms in early childhood, and compared the isotopic values with the bone values of the same individual. 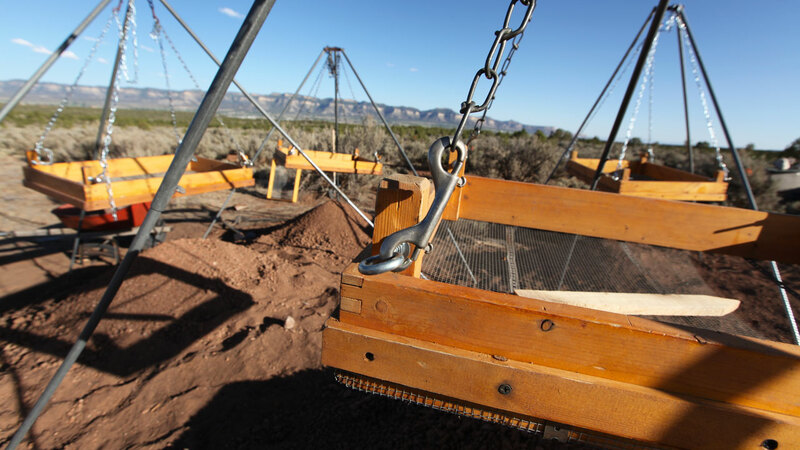 When the two results vary greatly, it can be determined that they spent a least a portion of their childhood in a geographic location that differed from where they were buried and eventually recovered through archaeological investigations. 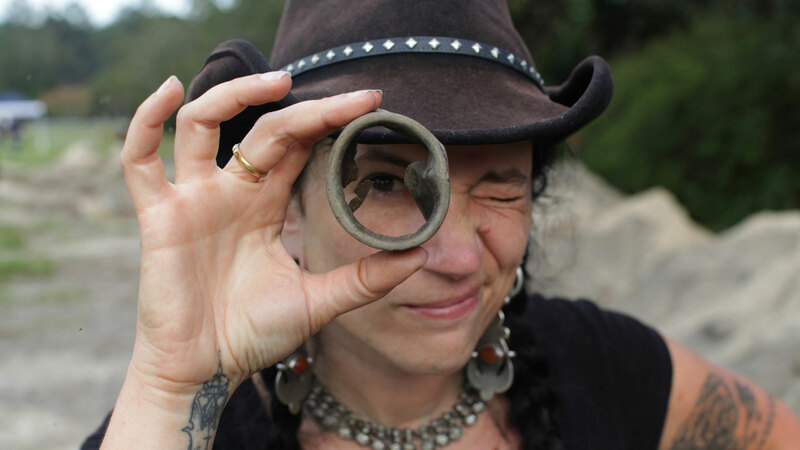 Written by Michelle Machicek, PhD (Postdoctoral Researcher), Cornell University, Department of Anthropology and Smithsonian Institution, National Museum of Natural History for Time Team America (2013). Bentley, R.A., 2006. Strontium isotopes from the earth to the archaeological skeleton: a review. Journal of Archaeological Method and Theory 13: 135–187. Price, D.T. 2008. Isotopes and human migration: case studies in biogeochemistry. In H. Schutkowski (Ed.) Between Biology and Culture. Cambridge: Cambridge University Press. Schwarcz, H.P., White, C.D., and Longstaffe, F.J. 2010. Stable and Radiogenic Isotopes in Biological Archaeology: Some Applications. In J.B. West, G.J. Bowen, T.E. Dawson, and K.P. Tu (Eds.) Isoscapes: Understanding movement, pattern, and process on Earth through isotope mapping. New York: Springer Science + Business Media B.V.